As the nation enters election mode, with the first phase of Lok Sabha election already over and second phase just three days away, Robert Vadra, husband of Priyanka Gandhi Vadra - Congress' General Secretary of UP East, said that he is serving people and preparing for his entry into politics. Ahead of the first phase of Lok Sabha elections 2019, Congress president Rahul Gandhi's brother-in-law Vadra had confirmed that he will campaign for the grand old party for the ensuing polls. 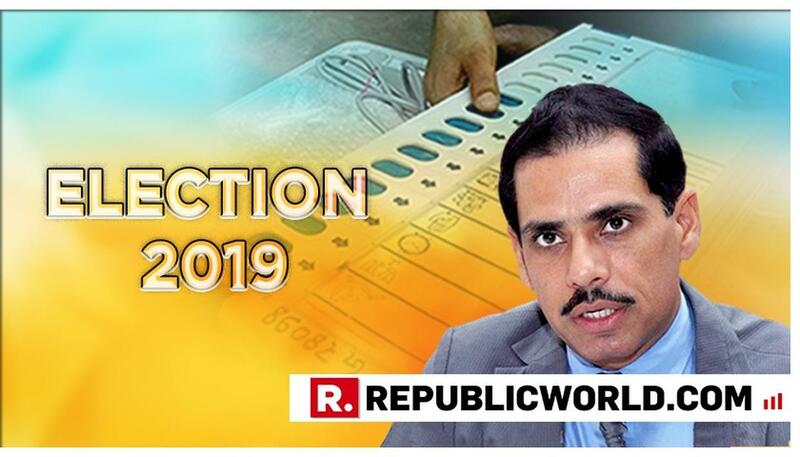 Speaking to news agency ANI, Robert Vadra, thus far a 'private citizen' as per his party, said that 'he will campaign for Congress party all over India for the Lok Sabha elections 2019. He also accompanied Rahul Gandhi and UPA chairperson Sonia Gandhi when they went for filing their nomination for the seat of Amethi and Rae Bareli respectively. In February this year, Vadra was questioned by ED in its money laundering case into the alleged possession of illegal foreign assets. He also has several land deal cases against him, such as the Bikaner land deal money laundering case and Haryana land case. Ahead of his appearance before the agency in New Delhi and in Jaipur, official Congress posters featuring him had been placed within close proximity of where he was staying at the time. WATCH: PM Modi takes on Congress over I-T's sensational raid recoveries, says "buying votes through notes has been their political culture"